Yesterday I released a new shawl pattern. Hooray! I feel like it's been a little bit. 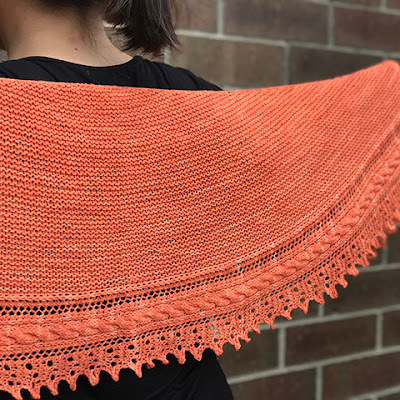 But fall is nearly here and that means it's shawl time. 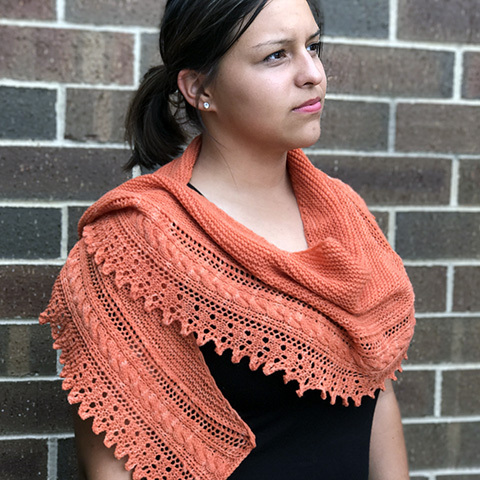 Fortis is a top-down crescent shawl with a cable and lace border. I think this pattern really highlights the squishy-ness of the new Anzula Gerty yarn, which I used in the sample. It's delicious. 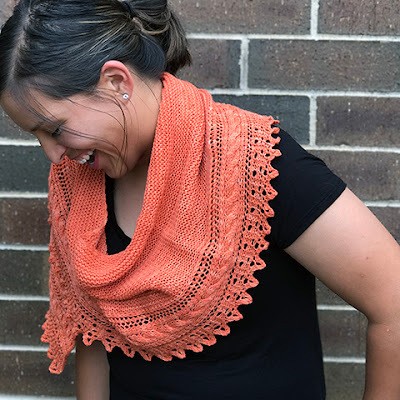 Whether you've been reading this blog for a month or for years, you know one thing remains the same: garter stitch and lace is my jam. Pair it with a simple cable? Now I'm totally in love. I hope you enjoy this pattern as much as I do! It's just the beginning of all the fun accessories I have planned for this fall.